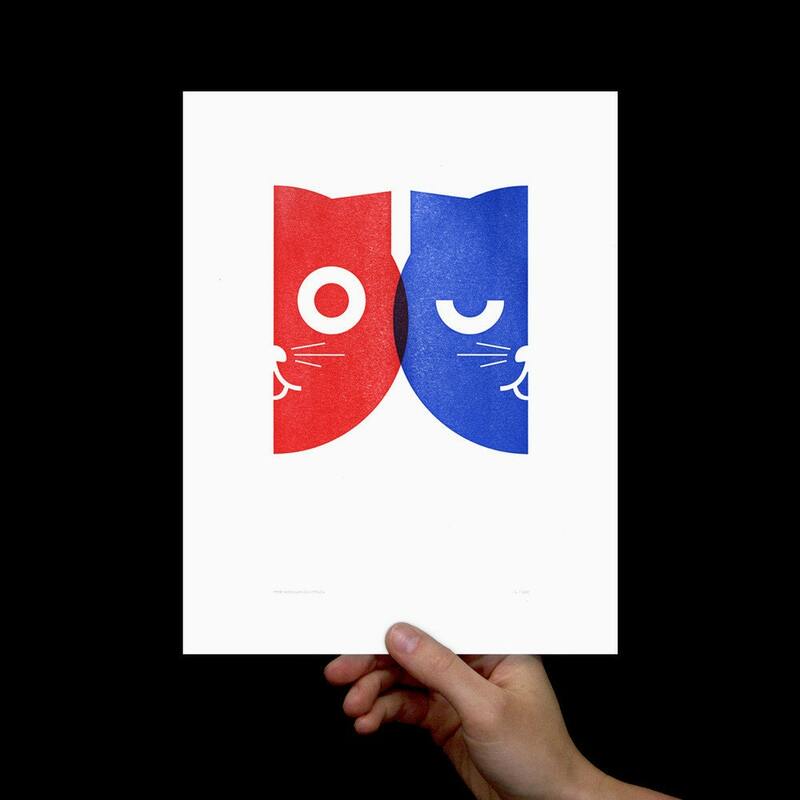 "Dueling Watson the Cat" is an original limited edition Letterpress Print from the Watson the Cat collection. 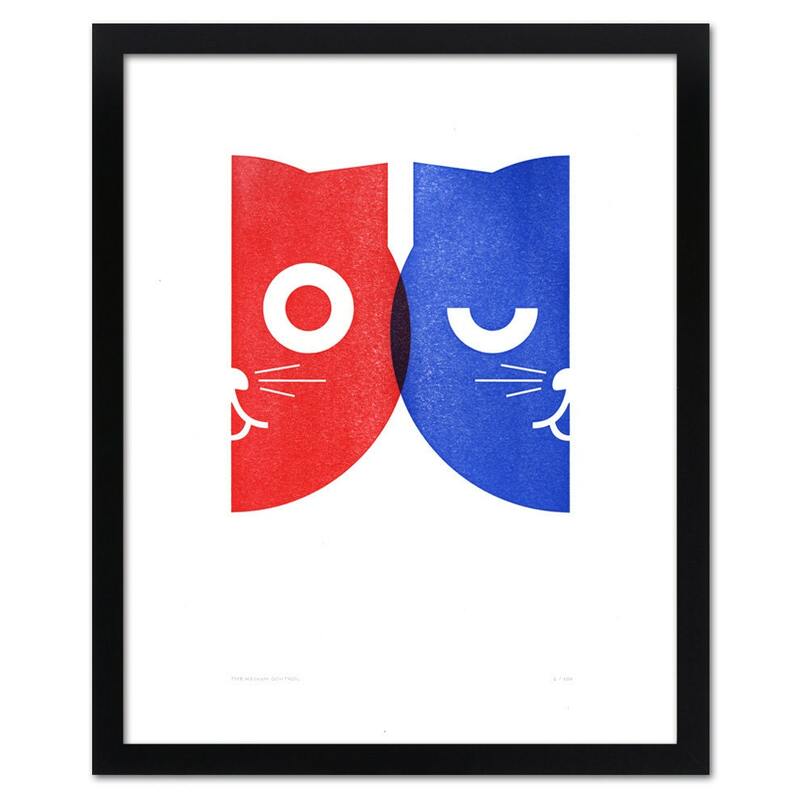 A two-color ode to the daily battle between deciding whether it is time to leap from nearest tall object or take a nap. 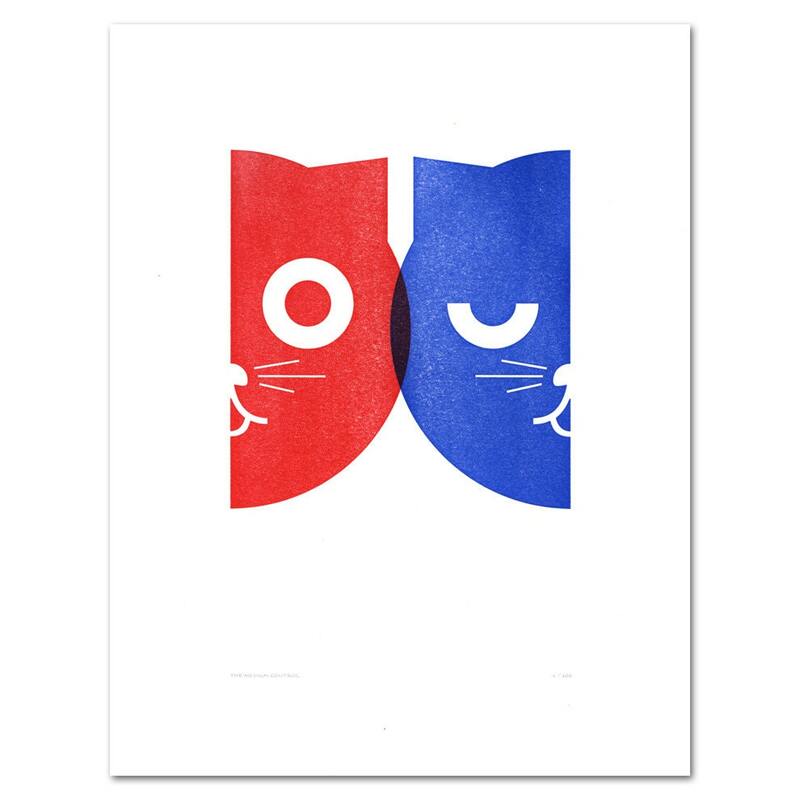 A stunning pop-art overlay 2-color Letterpress Print; Limited Edition; Signed & Numbered; Size: 8x10"; Sized to fit perfectly into a standard 8x10" frame. 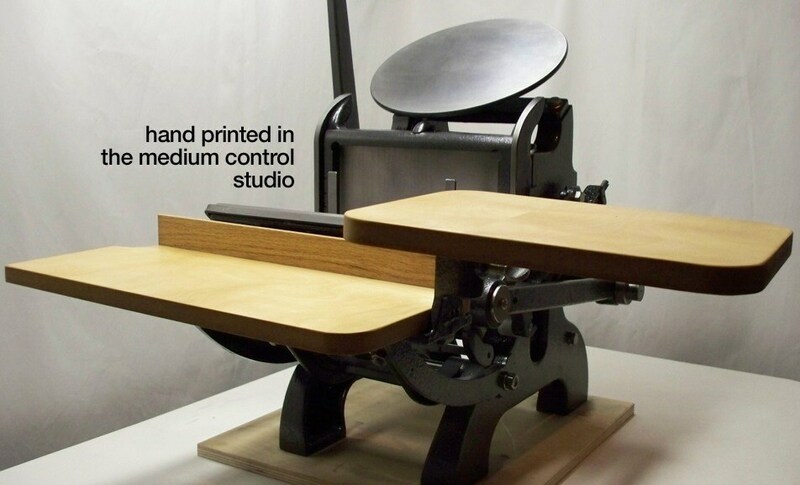 Printed on Superior White Crane Lettra Paper; Shipping: Carefully shipped flat in a sturdy rigid mailer. 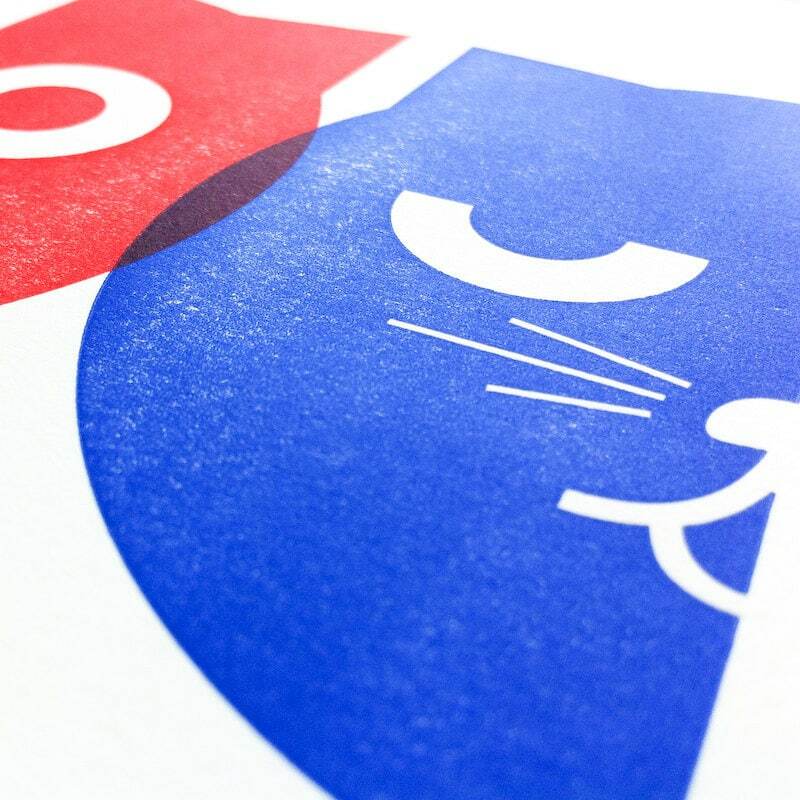 Each print is signed and hand printed by the designer, Tommy Kronquist.